We’ve combined our two best Summer picks - MoroccanBronze and MoroccanNights. Experience the colours of the MoroccanTan Collection with our Summer sample pack of Professional Spray Tanning Solutions. Fast drying , non-oily & non-sticky formula Contains Argan Oil which is rich in natural antioxidants and essential fatty acids.These antioxidants help your skin retain its youthful glow, reduce fine lines and provides deep moisture and hydration for your skin,leaving it soft and silky. Rosehip Oil* - bursting with essential fatty acids, Vitamins and antioxidants, Rose Hip Oil deeply nourishes and hydrates all skin types. It also helps protect the skin from premature ageing and improves the appearance of fine lines. Dermal Lock™* ensures key ingredients are captured and absorbed deeply into your skin. FT100° Firming & Toning Technology* - a blend of Caffeine, Vitamins and O2 to achieve firmer skin and reduce the appearance of fine lines. Triple Moisture Lock; MoroccanTan’s Trademarked blend of pure Argan Oil, Vitamin E and Aloe Vera provides intense hydration for the skin, ensuring a longer lasting tan. Loaded with Organic goodies; Argan Oil, Rose Hip Oil* and Aloe Vera. Sulphate and paraben free. Using only naturally derived alcohol. Our extensive range of formulations ensure there is the perfect formulation to meet all your skins needs. Before you spray your client we recommend a quick consultation which will ensure you can best select the right formulation and achieve the perfect result for your client. 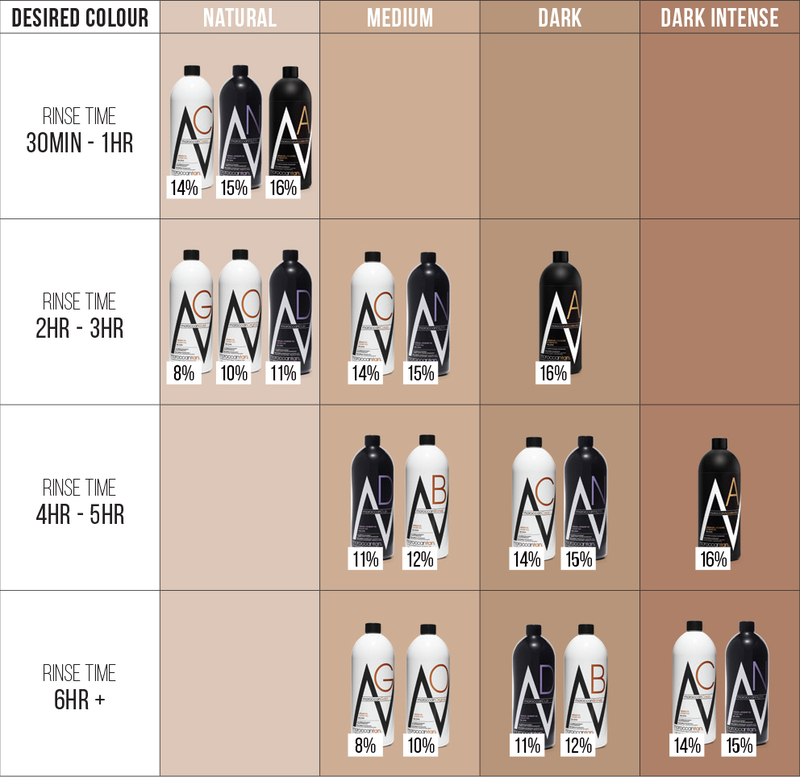 Further customise your service by personalising and refining rinse times to attain your clients desired colour depth. Our formulations are designed to treat the skin with intense hydration and nourishing skin properties to ensure the skin is healthy and replenished to achieve the perfect tan. Solutions can be tailored to suit specific skin concerns at the time of application. For normal skin, all MoroccanTan professional solutions are suitable. For those that have mature, sensitive or dry skin we recommend either the Exotic or Accelerated collection, and for oily skin types, our Original collection complements the skin best. Certified organic Aloe Barbadensis (Aloe Vera) leaf extract, Naturally Derived Dihydroxyacetone, Hamamelis Virginiana (Witch Hazel) water, Propanediol (Derived from Corn), Xylitylglucoside (Derived from Plant), Alcohol (Derived from Plant), Erythrulose, Caramel (Natural colour), Organic Argania spinosa (Argan) oil, Organic Rosmarinus Officinalis (Rosehip) oil, Rubus Idaeus (Raspberry) seed oil, Tocopherol acetate (Vitamin E), Ascorbic acid (Vitamin C), Panthenol (Vitamin B5), Anhydroxylitol (Derived from Plant), Xylitol (Derived from Plant), Phenethyl Alcohol, Caprylyl Glycol, Polysorbate-20, Sodium Metabisulfite, Parfum, FD&C Blue 1 (Cl 42090), FD&C Yellow 5 (Cl 19140), FD&C Red 40 (Cl16035).